Will Aquilani make a summer move to Pescara? 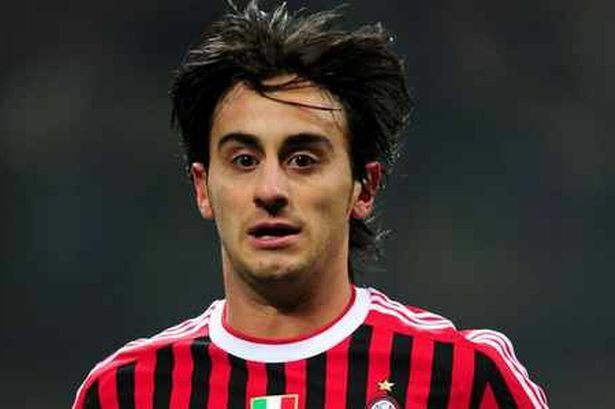 The Italian midfielder Alberto Aquilani is currently a player of Sporting CP where he managed to make 19 appearances during his debut season. Back in August of 2009, Liverpool took a risk in signing Aquilani as the Premier League offloaded €20 million in securing the services of the Italian player who at that point in time was being hyped and even labeled as someone who could become the best player in the world. He is potentially one of the best players in the world. He has been unlucky with injuries so far but I believe he will do really well in England.” Francesco Totti said back in 2009 as he said that Aquilani would have a successful career in Liverpool after being signed for €20 million. Aquilani has not lived up to the expectations of the fans, managers and other players. Despite performing with top Italian clubs such as: Ac.Milan and Juventus, Aquilani could never truly stand out. The 32 year old midfielder is now performing with Sporting CP but there are rumors going on linking him with a move to the Serie B club Pescara. The veteran player still has 1 more year left on his contract with Sporting CP after having signed with the Portuguese club on a free transfer in the previous summer transfer window. At such a fairly elevated age, it’s hard to see any top European club being interested in signing him which is fairly depressing for a player that was being hyped as the next: ’’Andrea Pirlo’’, as a midfielder who had precise passing abilities as well as someone who can control the midfield as slowly or fast as he desires. Whether or not a transfer actually goes through during this summer transfer window is something that only time will tell but the player has shown interest in making a return to Italy and all signs are pointing towards Pescara.